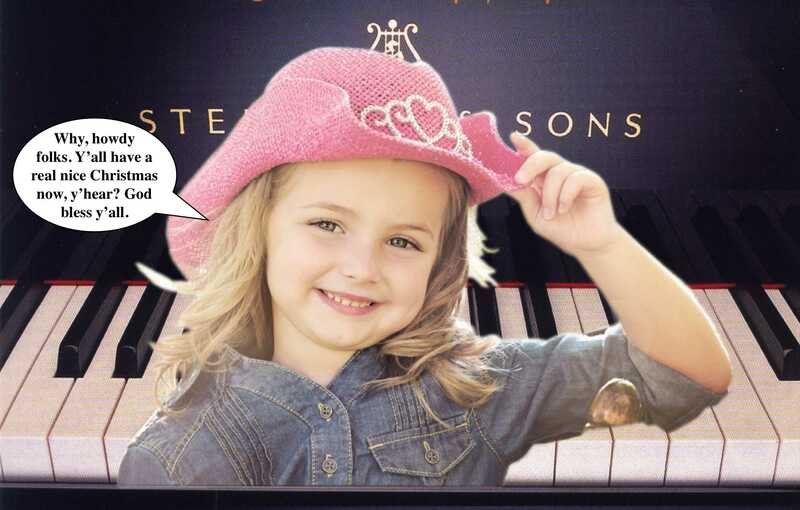 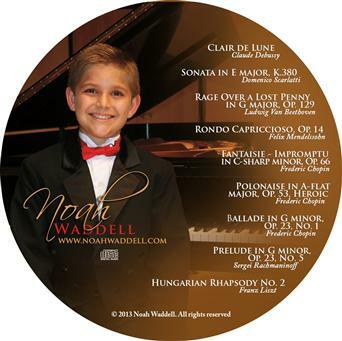 Noah Waddell began playing the piano shortly after his 7th birthday. 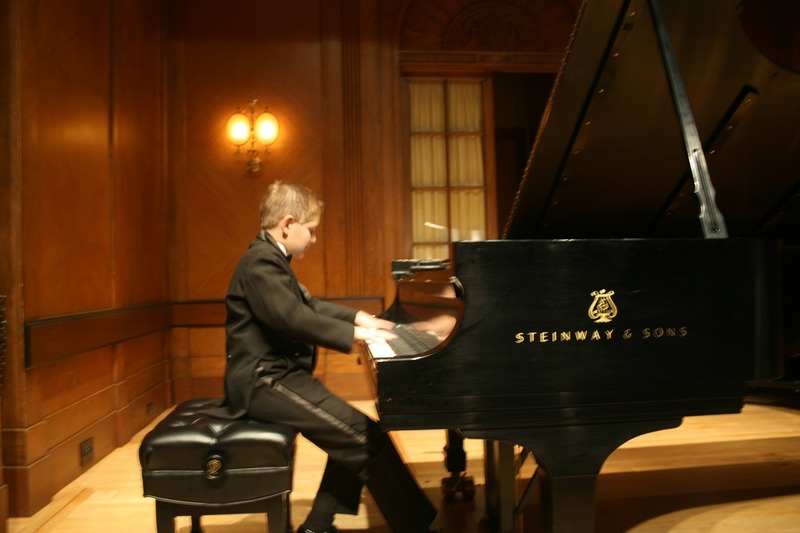 He has been featured on NBC and Wink TV, showcasing his talents as a child prodigy who gives back to the local community. 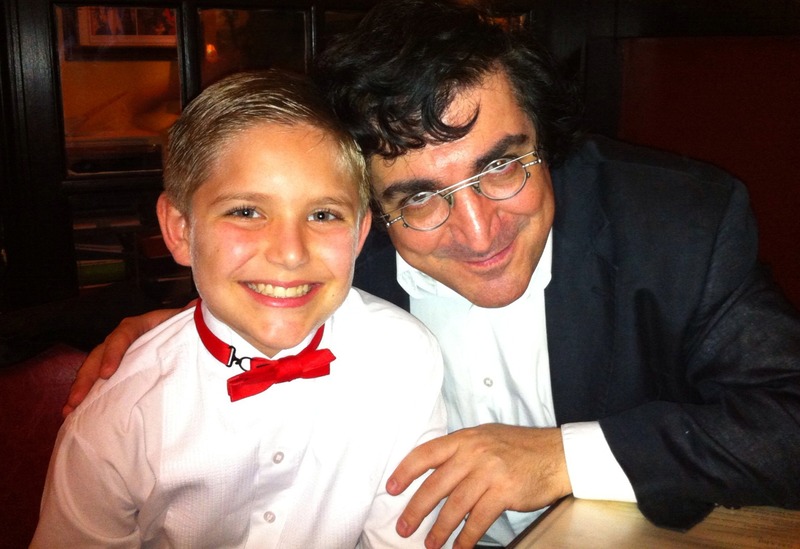 He has also appeared on the PBS TV Show, "Curious Kids". 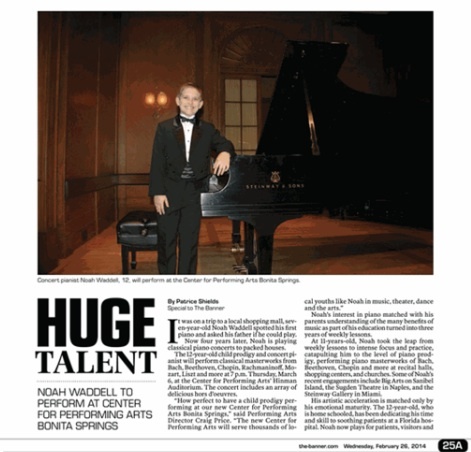 Recently Noah's Concert for the Kids at the Big Arts Performance Center on Sanibel Island raised over $30,000 for the new children's hospital at Healthpark. 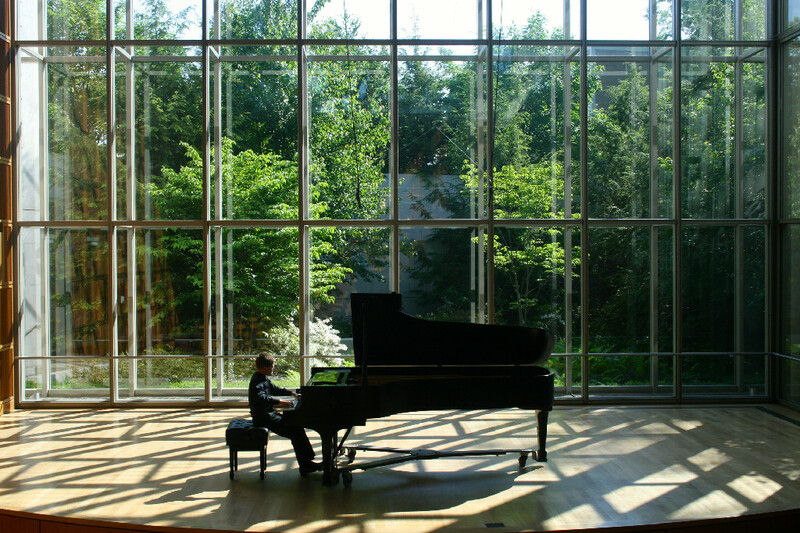 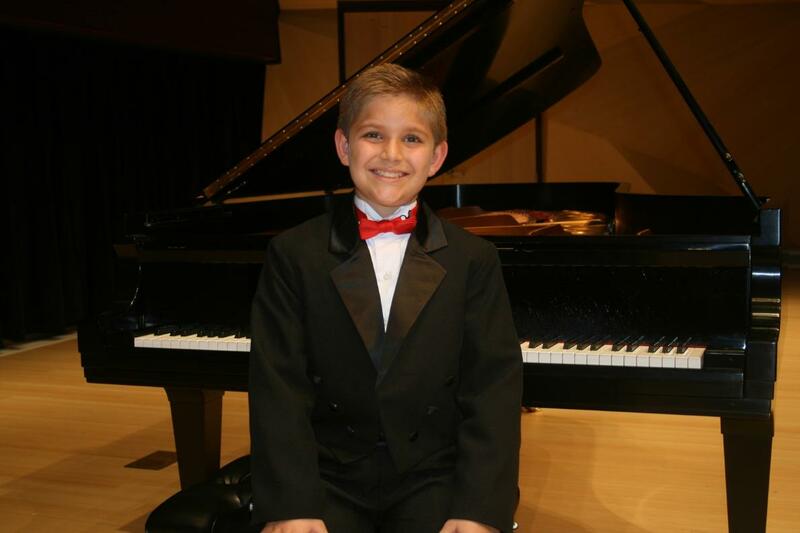 In addition to performing, Noah enjoys piano competitions. 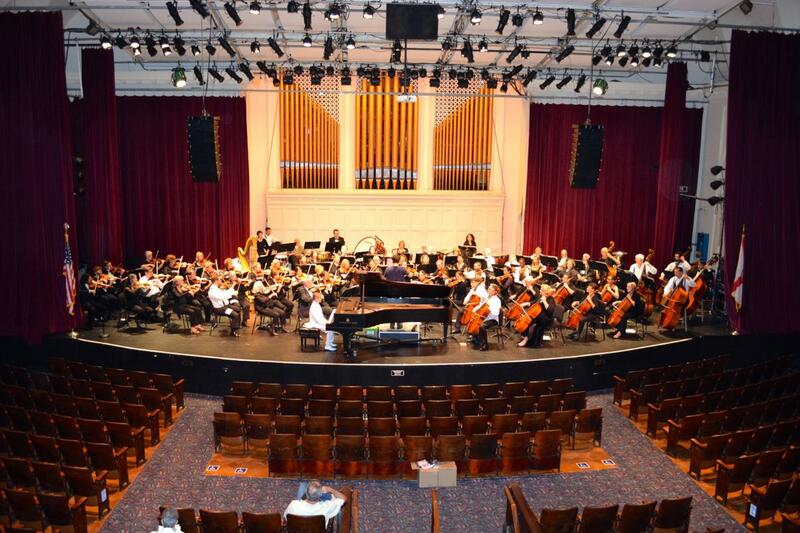 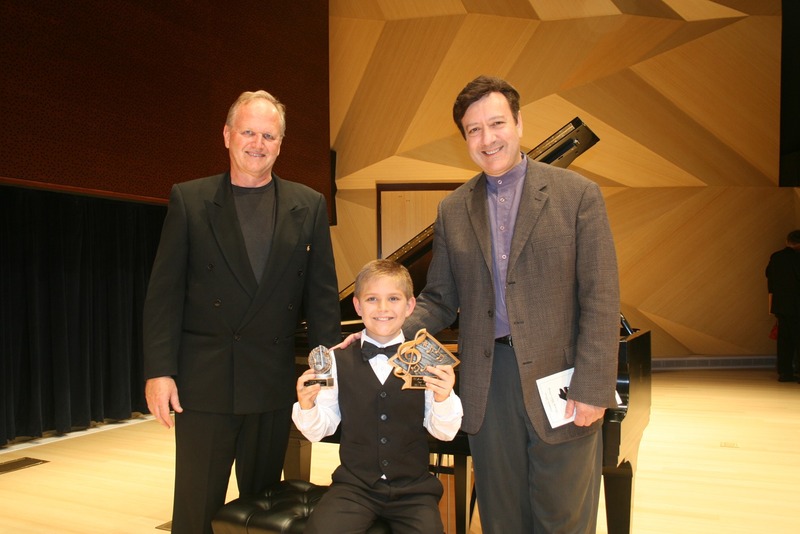 He has won numerous top awards including the Tampa Bay Symphony Concerto Competition. 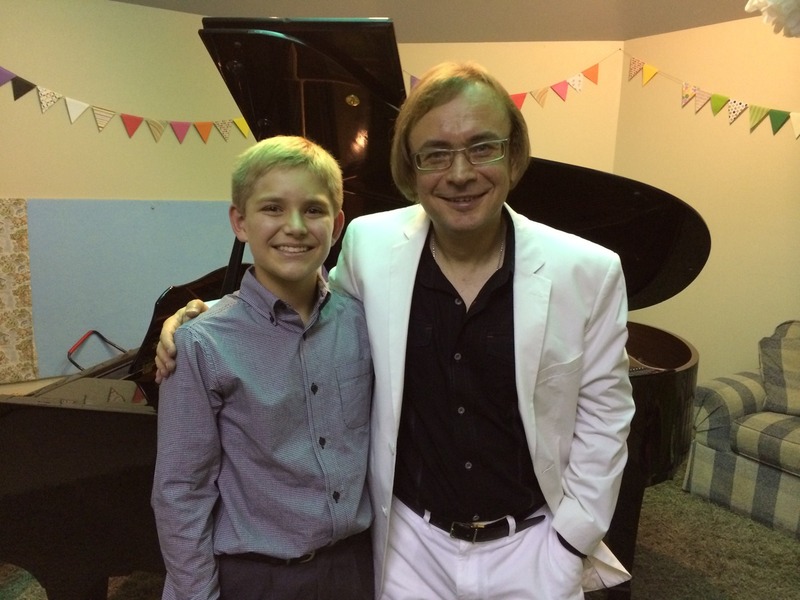 He had the privilege of playing three concerts as a soloist in April of 2014. 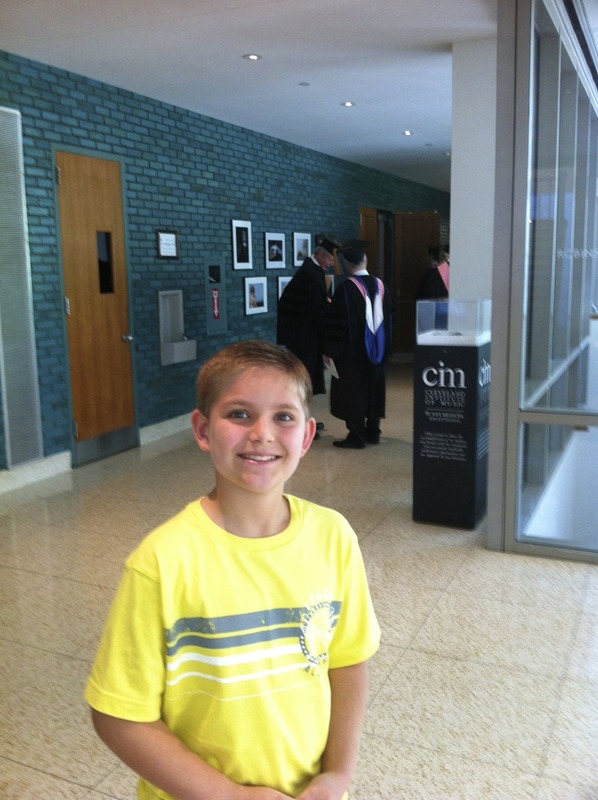 Noah is home schooled and enjoys a variety of activities including tennis, fishing, hiking, and pickleball. 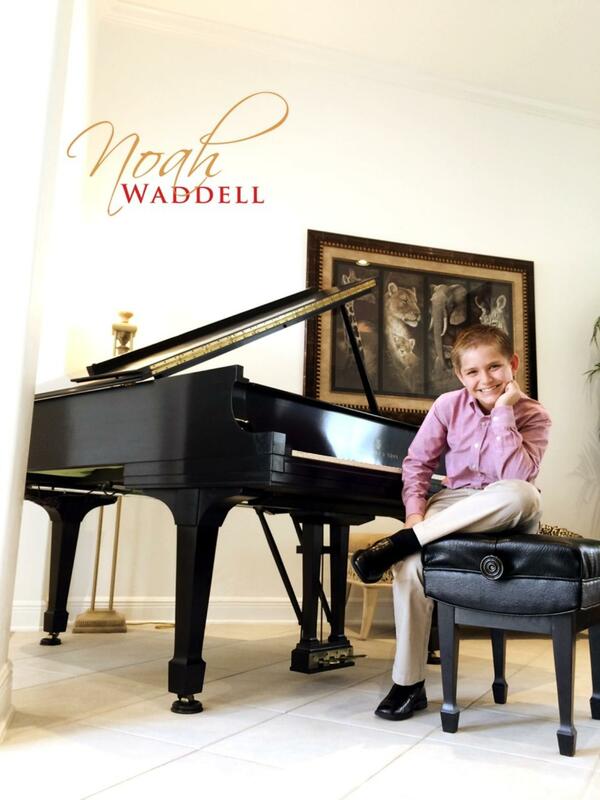 Noah has performed at concert halls, performing arts centers, and churches. 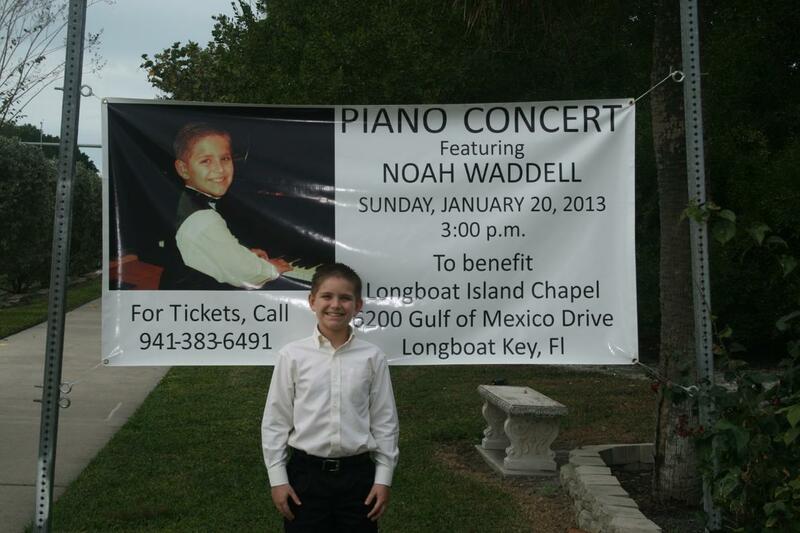 "Noah's Concert for the Kids" at the Big Arts on Sanibel Island, raised over $30,000 for the new Golisano children's hospital of Southwest Florida. 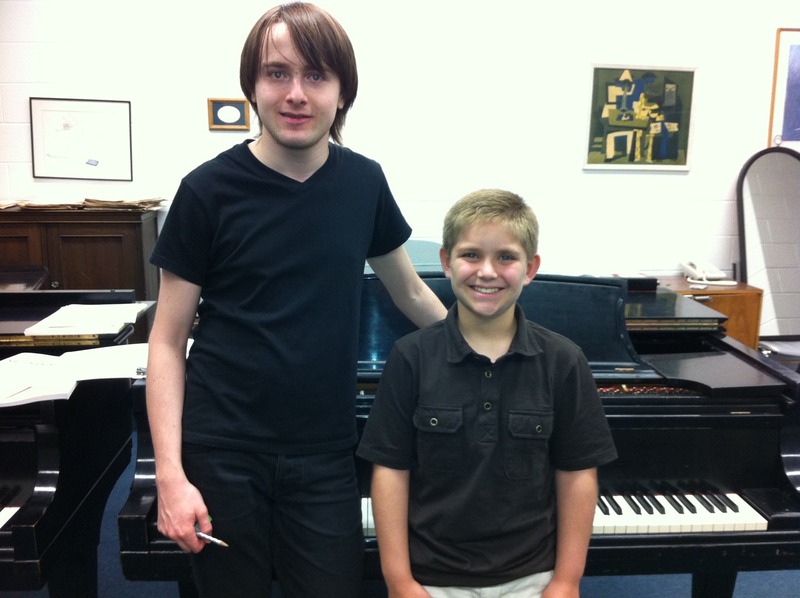 He currently donates some of his time and talents weekly to "The Arts in Healthcare Program" at Lee Memorial Hospitals. 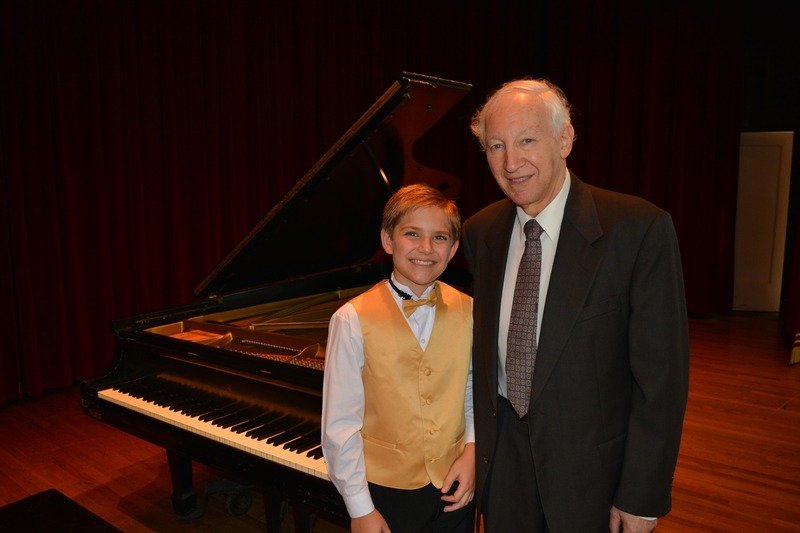 ABC and Wink News featured a story showcasing his talents as a child prodigy who gives back to the local community. 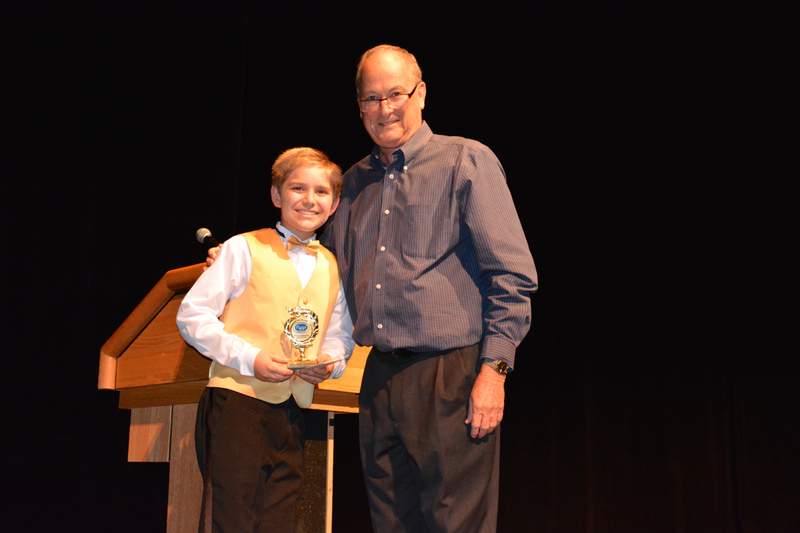 He has also appeared on the PBS TV Show "Curious Kids" and the Christian Television Network. 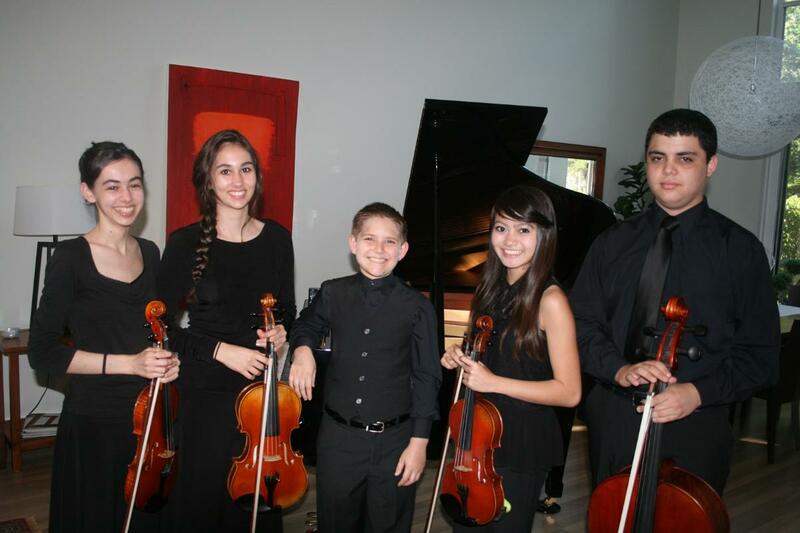 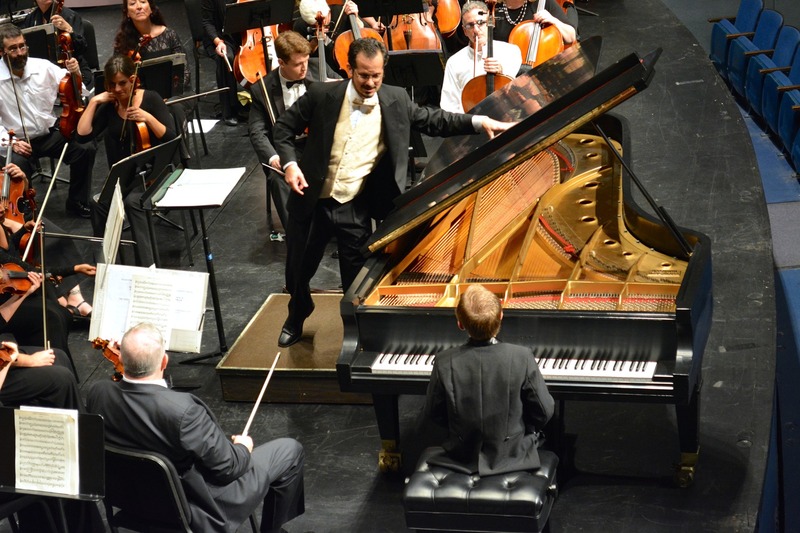 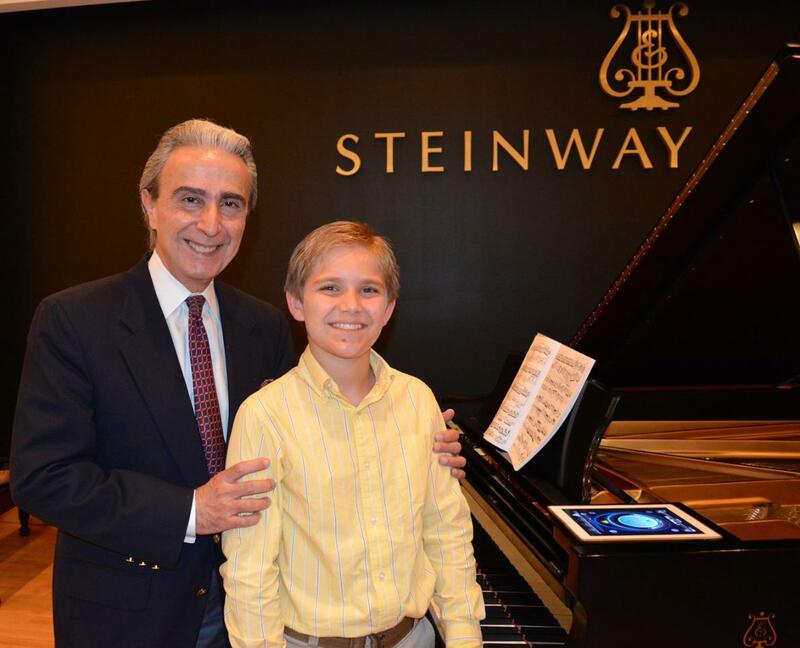 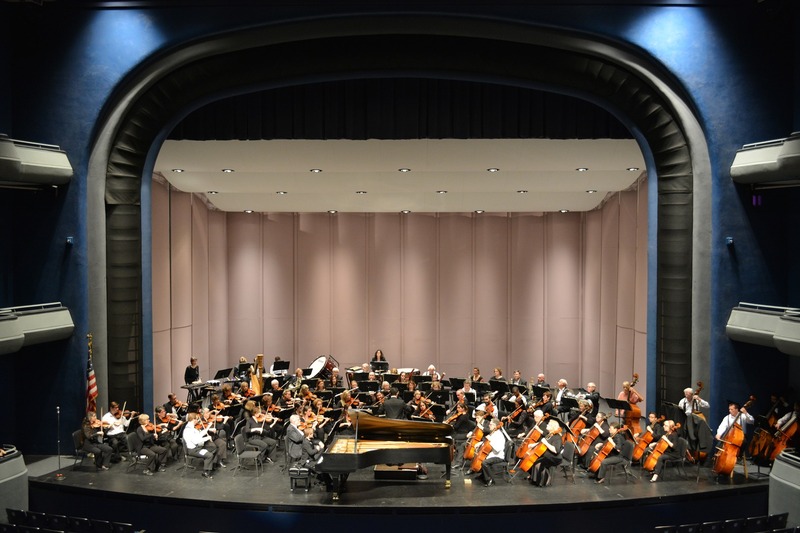 After winning a concerto competition at 12 years old, Noah made his orchestral debut performing three concerts as a soloist with the Tampa Bay Symphony. 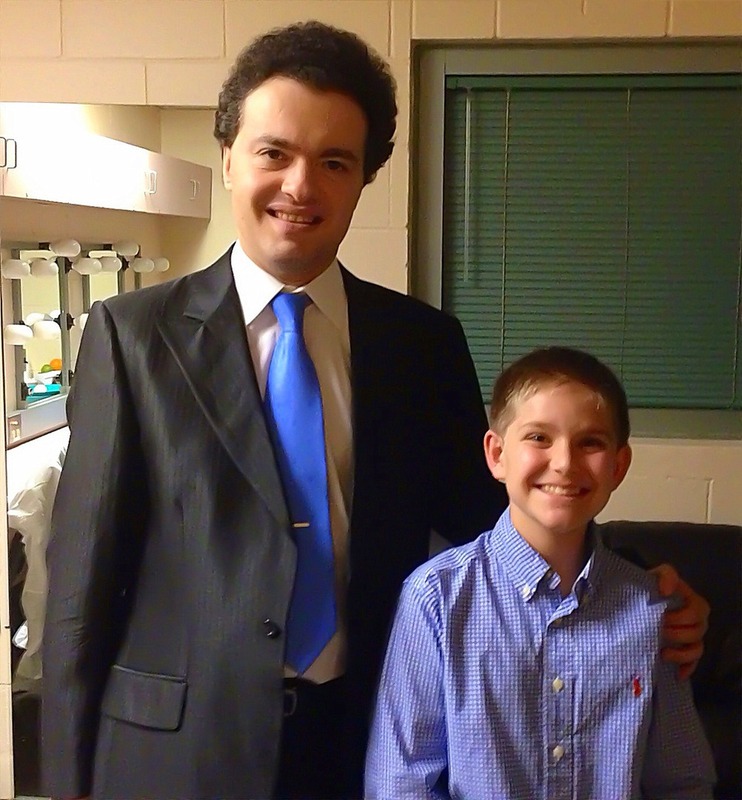 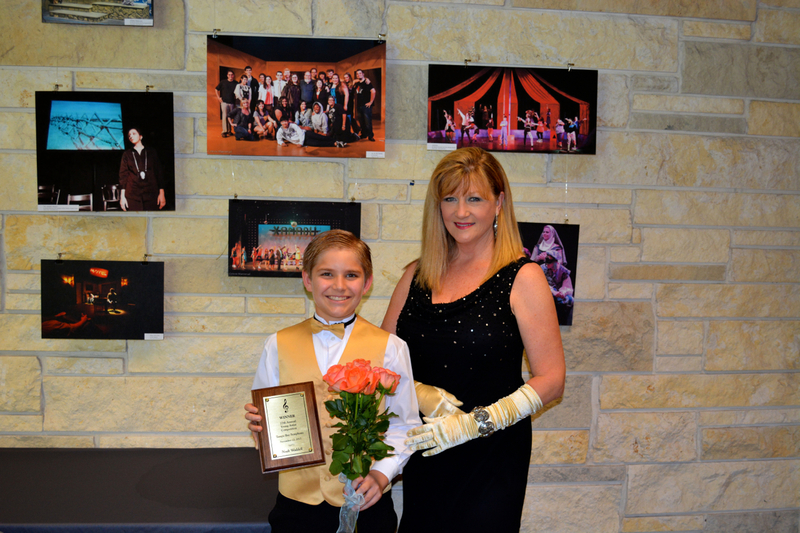 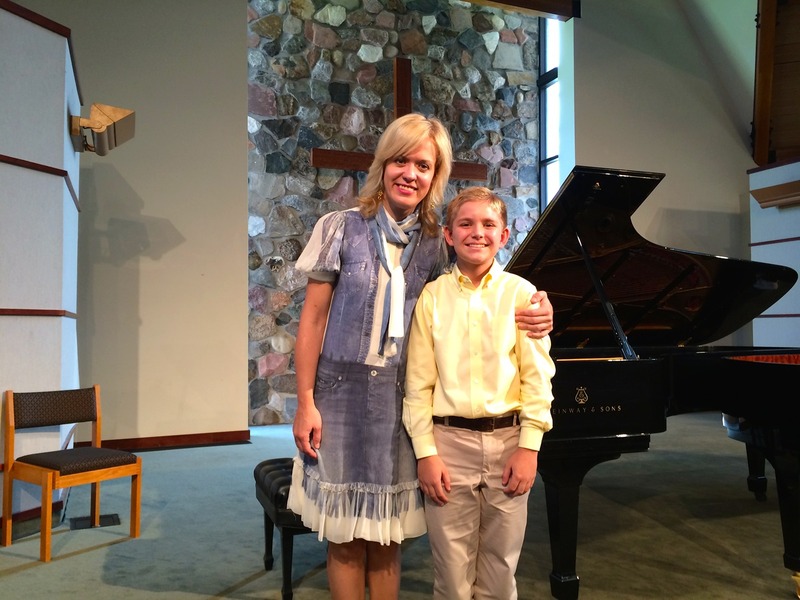 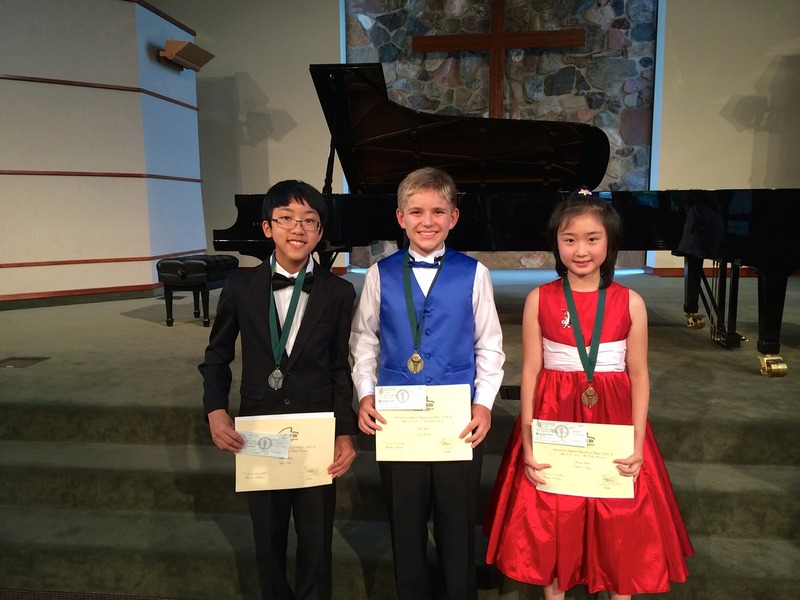 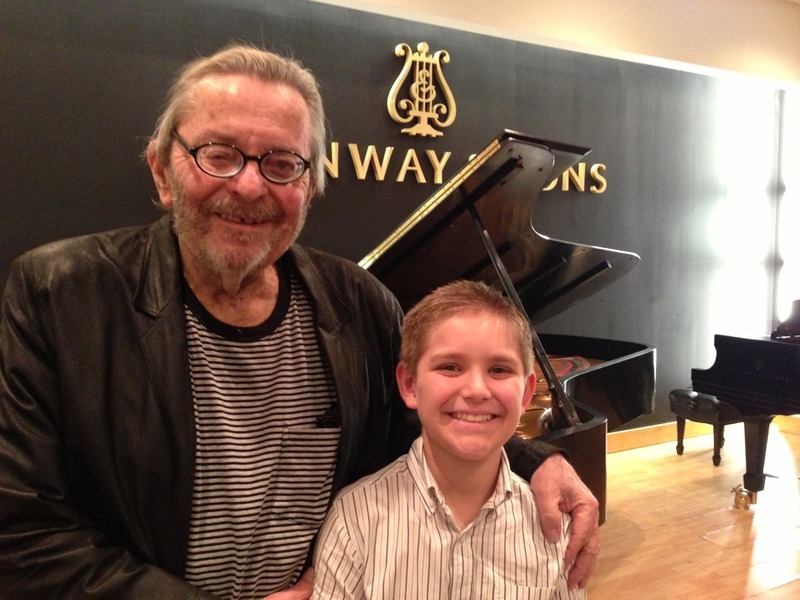 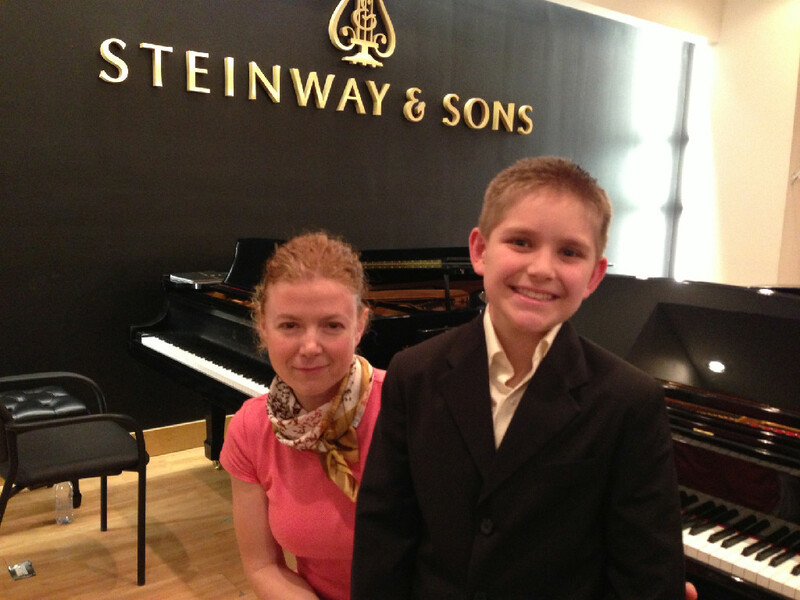 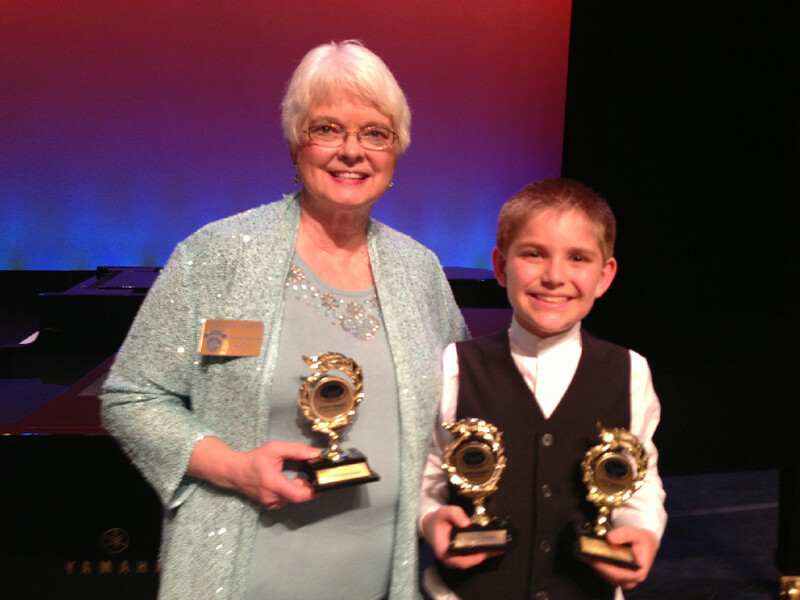 Just recently, Noah won his first international piano competition that was held in Fort Collins, Colorado. 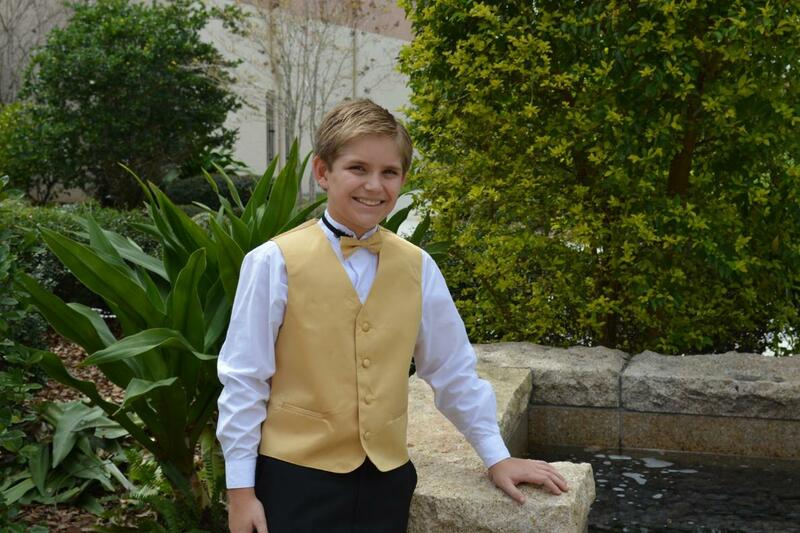 Noah is homeschooled and enjoys a variety of activities, including tennis, hiking, fishing, and pickleball. 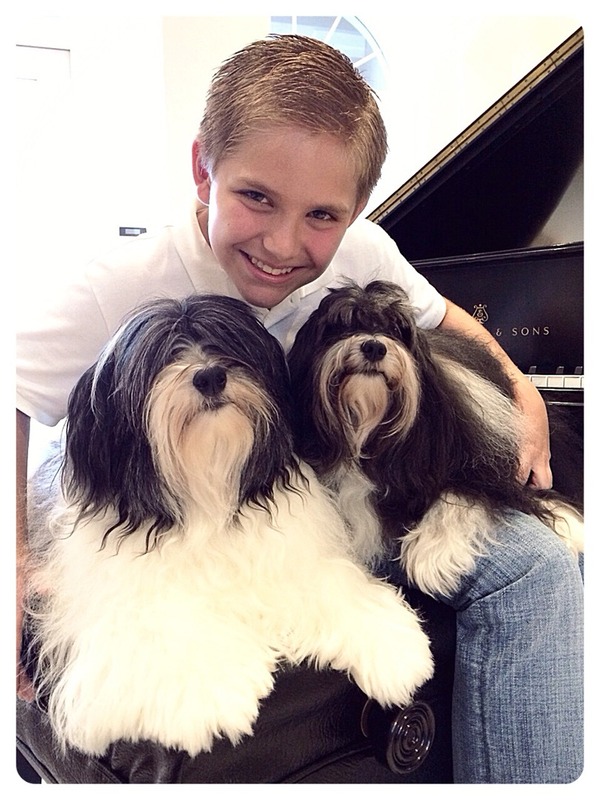 He also loves his two Havanese dogs, Bach and Mozart.